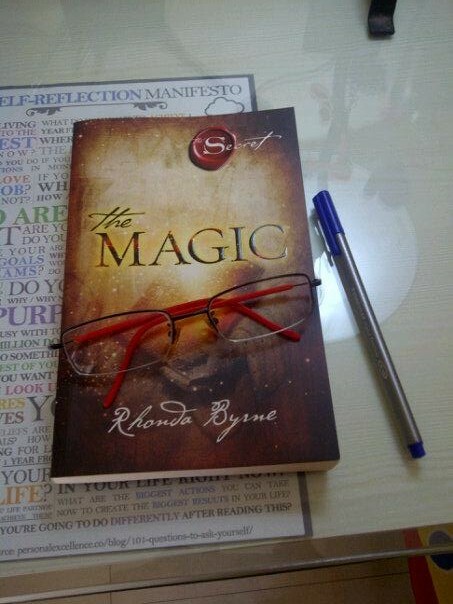 On March 25, 2012, on my way back from a weekend trip to Agra, I picked up this book by Rhonda Byrne, called, the Magic. While waiting in the airport lounge, I read the first two chapters of the book and I realized that it is a day-by-day practice of 28 days. Today, since my desk is clean of office work, I thought of continuing my read of the Magic and started reading it in the morning. The moment I continued reading, I realized that the Law of Attraction worked on the day of my purchasing this book too. Yes, I do believe in it. Keep reading my blog category Law of Attraction for more stories and updates. Live A Better Life in 30 Days Challenge (30DLBL).